Hello and welcome to everyone visiting my blog. The theme at FSC this fortnight is to “Make a Tag”…and we all love this one! The Stampettes have gone all out and created some awesome tags! They are such a talented lot of ladies. Meet our uber talented new teamies!!! 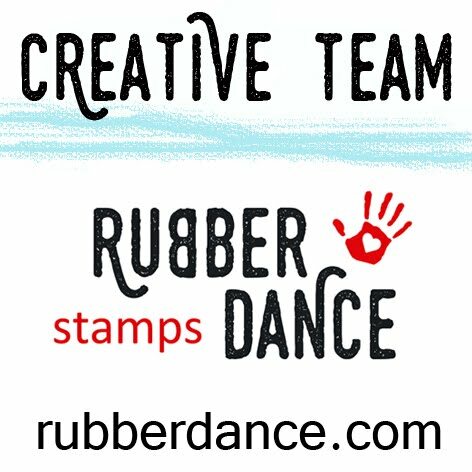 Pop on over and check them out at Fashionable Stamping Challenges. Marina from Cottage Crafts has a fantastic prize each fortnight, so … I hope that you will be truly inspired, get the ink pads and stamps out and have a go…and, more than anything, have fun! It’s amazing how many different ways you can make a tag! She is British born and a has a gentle soul. A lady through and through! I wanted to create a tag that reflected that somehow, and celebrated our friendship…ok, I love grunge, so it was difficult..lol…so I have come up with my version of “friendly, feminine grunge”. I hope you like it. I had my first ever go at using DI that was mixed with water and painted onto an image. I think the watercolour effect is gorgeous, and gave me the look I was after. The inks are Distressed inks (lots of blues and browns) and Memento Tuxedo Black. The stamps are from Crafty Individuals (main image) and Tim Holtz (a flourish). Embossing powder TH gold, and “Alison Ellis Design” in chocolate sparkle and true blue. A gold leaf pen for highlighting the swirls. Wonderful tag, I'm sure it will be appreciated and treasured! Oh wow! What a sensational tag!! Love the images and the stamps and very vintage! Thank you for joining at Paper Creations Ink Challenges. Hope to see next time and good luck!! A gorgeous tag Dot. Love the background and embellishing and the image is a favourite of mine. I love the way you extended beyond the actual tag and so much detail and wonderful inkiness to this tag. Wow that's so beautiful. Thanks for joining us this week at C4E. I love your gorgeous tag! Thanks for joining us at C4E this week. 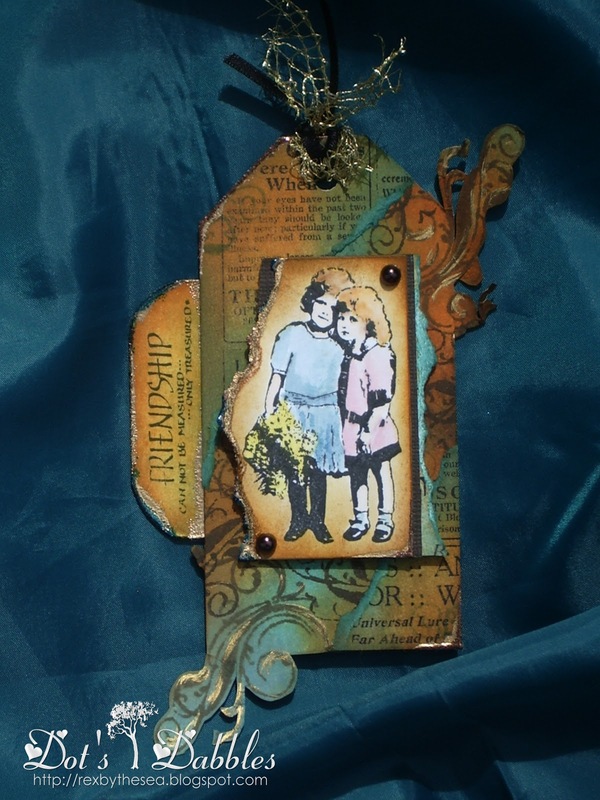 Love the vintage feel in your friendship tag! The colors are awesome together! So lovely! I just lve how your tag flows over the edges! Such a beautiful image, too! Wonderful tag! I love the rustic feel – very vintage! Your friend will just love this! Thank you for joining us at Paper Creations Ink! Wondeful tag, love the color combination and the images. So glad I could enlarge this to take a closer look Dot. I just love the effect you have achieved – fabulous. This is gorgeous Dot, beautiful image and I love the colours. This is fabulous! Love the colours! Beautiful tag!! Thanks so much for joining us at PaperPlay Challenges and hope you join us again soon! Fabulous tag–congratulations on it being chosen as a Ginger Gem in the Gal Pals Challenge, Dot! creative art it it quite attractive. good job!